Have you ever heard that joke - the one about how if you catch me running, you better check and see who is chasing me? Too funny! 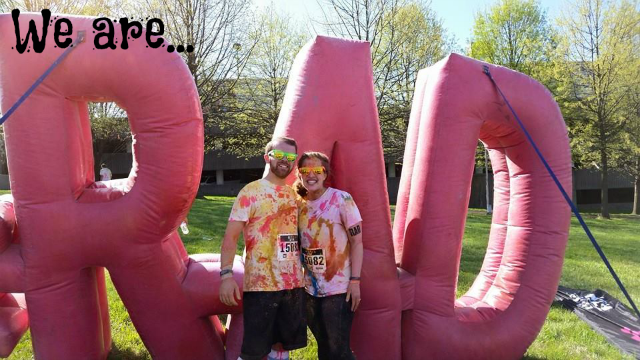 Well, I am not a big runner, but I am motivated to run when you throw a little colored powder in the mix! This most RAD thing about is year's race? Well, last year when I ran - I didn't feel very good about myself. 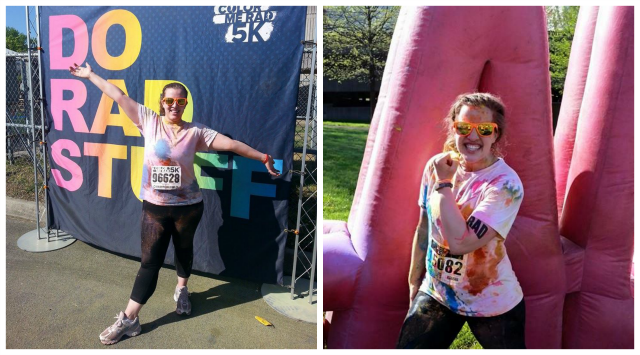 I made a goal that I would run the next year's race at least 20 pounds lighter. Well? I did it! 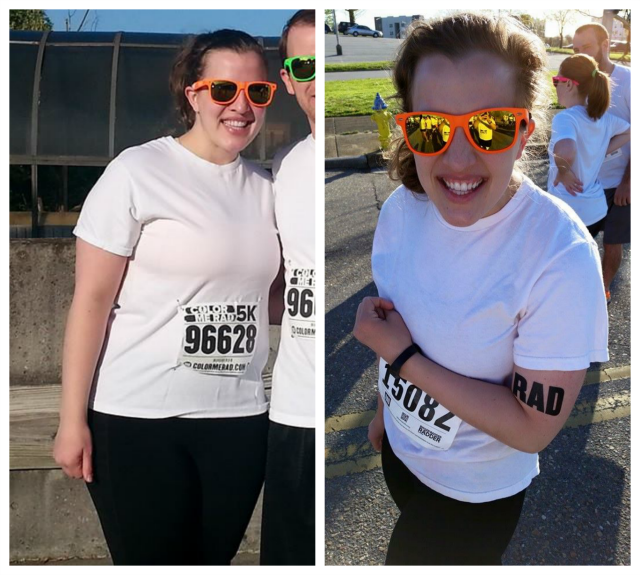 This year, I ran the race about 28 pounds lighter. It always feels great to accomplish a goal. 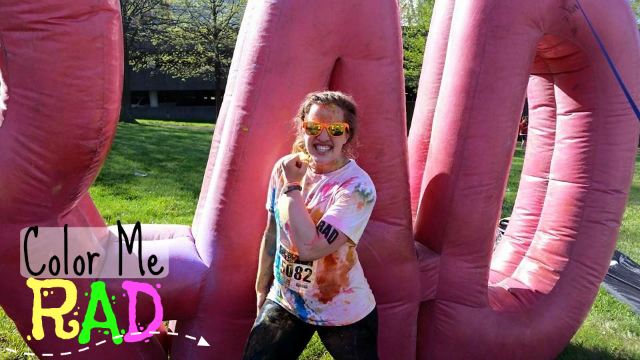 If you have never run a color run before - you start out in your clean white shirt and by the end - you are a colored mess! We'll definitely keep this up as a yearly tradition!